"Prior to Bayern’s semi-final against Barcelona, coach Jupp Heynckes paid Schweinsteiger the following compliment: "He is the heart of the team, a midfielder with outstanding tactical ability. He always makes the right decisions. He is on a par with Iniesta and Xavi."" After some games, Manuel Neuer claims, he doesn't even have to take a shower, so good is Bayern's defence that there's no need to get dirty making saves. When called upon, though, he is one of the best goalkeepers in the world. Also it bears remembering that he stepped up and scored a penalty in the last Champions League final, which Bayern lost and heartbreakingly so at home to Chelsea. Scorer of the fifth fastest goal in Champions League history when his shot took an indecipherable deflection leaving Gianluigi Buffon no chance after just 26 seconds of Bayern's quarter-final first leg against Juventus, David Alaba, 'the young grasshopper', has been taken under the wing of Frank Ribéry with whom he has developed a good understanding on the left flank. A full-back of great promise. Described as a Schnäppen-Verteidiger or bargain defender when Bayern triggered the €4.7m release clause in his contract with Borussia Mönchegladbach last summer, Dante didn't get the same billing as fellow summer signings Javi Martinez and Mario Mandzukic. Together with them, this elegant and assured Brazil international, admittedly a later developer at 29, has added a layer of quality which Bayern lacked last year. Formerly of Manchester City just like his back-up Daniel van Buyten, the 24-year-old Germany international is now in his second Champions League final after leaving the Etihad where a knee injury wrecked his chances. Not that there's any regrets. Highly regarded for his versatility Boateng, brother of AC Milan's Kevin-Prince, can play across the back four and even in defensive midfield. Back in 2009, Philipp Lahm gave a scathing interview to Süddeutsche Zeitung attacking the club's culture of short-termism, its transfer policy and lack of a playing philosophy. Bayern, one assumes, took note of their captain's words. They've now reached their third Champions League final in the four years since then and are held up as a model club. In addition to being the best right-back in the world, Lahm is consummate leader and winner. A midfield colossus with imperious poise, Javi Martinez is one of those players who takes one stride for every two taken by his opponent. Ubiquitous in the first leg of their Round of 16 tie against Arsenal, the decision made to pay Athletic Bilbao an eyebrow-raising €40m for him last summer was worthwhile not because he's worth exactly that - Uli Hoeness admitted he isn't - but because he's a missing piece of a puzzle for which paying a premium in order to complete it was totally justifiable. Prior to Bayern's semi-final against Barcelona, coach Jupp Heynckes paid Schweinsteiger the following compliment: "He is the heart of the team, a midfielder with outstanding tactical ability. He always makes the right decisions. He is on a par with Iniesta and Xavi." That's all you need to know really except that what Schweinsteiger may lack in comparison with them, he certainly makes up for in physical stature. Were it not for Toni Kroos' injury against Juventus in the quarter-finals, it's unlikely Arjen Robben would be starting. He has, it must be said, been exceptional since he came on for him that night, scoring in both legs of the semi with Barcelona. The signing of Götze and return of Kroos may spell the end for him at the Allianz Arena. This could be his last hurrah in a Bayern shirt and redemption for his penalty miss in extra-time of last year's final. A socks-around-the-ankles footballer, Thomas Müller has been described as a Raumdeuter, the German for Space Investigator. He drifts, he lurks and eventually finds an opening. This is his talent. Being in the right place at the right time. There's no stat for that. You've either got it or you haven't. And Müller most definitely has it. On the losing side in World Cup and Champions League finals, Franck Ribéry has been there or thereabouts in the last seven years. That's also true of him as a player. Ribéry has straddled the line between very good and great throughout his career, threatening to break into the latter category for Bayern but not for France. A real surprise. Signed from Wolfsburg for €14m as cover for Mario Gomez who suffered an ankle injury at the beginning of August, he has made the position his own on account of his goalscoring ability, sure, but above all his willingness to sacrifice himself and act as a first defender often pressing opponents and retreating back into midfield to help his teammates win the ball back. 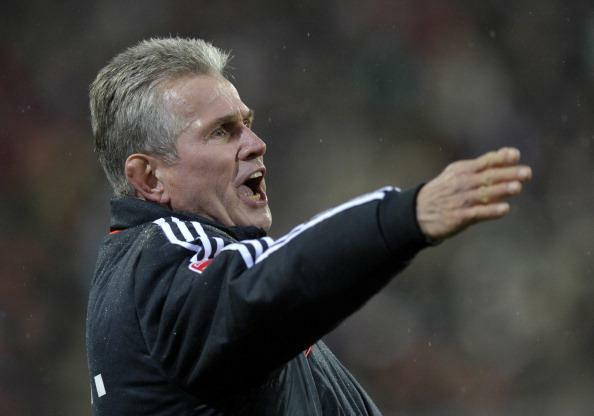 Like in 1998 when he won the Champions League with Real Madrid only to lose his job, Jupp Heynckes will be pensioned off regardless of whether Bayern lift the trophy on Saturday night to make way for Pep Guardiola. It feels harsh considering this promises to be the club's most successful ever season. The one consolation is that if Bayern do complete the treble a place in posterity awaits Heynckes and he can retire in the knowledge that he has made it difficult if not impossible for Pep to eclipse his achievements.